I consult art institutes, design studios, digital and city projects on their strategy, branding, organization and business development. I also teach, speak and coach people who aim to grow professionally. I work closely with designers to turn strategic advice into real and engaging projects. That is why I have founded Agency Agency, practice for strategy and design. KABK Lectorates — advisor and liaison for the design and development of the visual identities and digital platforms of the Lectorate Design and the Lectorate Art Theory & Practice, both part of KABK Royal Academy of Art. With Lesley Moore and Digital Natives. MOTI Foundation — strategic development of a new foundation, consultancy and project initiator focused on culture and planet. With Agency Agency and François Girard-Meunier. BUROMOSA — strategic development of Luca Moscelli's new architecture practice. With Agency Agency and François Girard-Meunier. Lustwarande — strategic positioning and brand development of Lustwarande, platform for contemporary sculpture. Studio Ossidiana — strategy and business development for Studio Ossidiana, practice for architecture, design and public space founded by Alessandra Covini and Giovanni Bellotti. With Victoria Meniakina / Agency Agency. Kasteel Wijlre estate — strategic direction for the visual identity and website of Kasteel Wijlre, estate for culture and landscape. With Maarten Kanters / Agency Agency. KABK Portal — advisor and liaison for the development of the internal communication platform of KABK Royal Academy of Art. With Digital Natives. Waèl — professional development coaching for artist-designer Waèl el Allouche. Reality Check VIII — professional development program for DesignLAB students at Gerrit Rietveld Academie. With Victoria Meniakina and Maarten Kanters / Agency Agency. KABK KC HdK — advisor and liaison for the design and development of the visual identity and digital platforms of KABK Royal Academy of Art, KC Royal Conservatoire and HdK University of the Arts The Hague. With Lesley Moore and Digital Natives. HdK Brand Portfolio — definition of brand portfolio of HdK University of the Arts The Hague, the organization behind KABK Royal Academy of Art and KC Royal Conservatoire. Lessons from Amsterdam — lecture in two parts on strategies for to keep heritage cities lively and liveable. One part on affordable spaces for creatives and another part on city branding in times of overtourism. For urban studies students at Sciences Po. Creative Spaces Moscow — speaker at Moscow Urban Forum, HSE School of Urbanism and Moscow Agency of Innovations on the development of creative spaces in the city. Invited by Moscow Urban Forum and the Embassy of the Netherlands in Russia. Studio L A — strategy workshop and advice for Studio L A, practice for inclusive architecture founded by Lorien Beijaert and Arna Mačkić. On behalf of Agency Agency. Afaina — strategic development of Afaina de Jong's professional practice. With Victoria Meniakina / Agency Agency. Artist Spaces Amsterdam — strategic communication and website advice for the City of Amsterdam's atelier and creative spaces program. Reality Check VII — professional development program for Interior Architecture and Furniture Design students at KABK Royal Academy of Art The Hague. With San Serriffe, Giulio Margheri / OMA, Victoria Meniakina and Maarten Kanters / Agency Agency. Advising Cultural Organizations — lecture on our integrated approach for advising and developing cultural organizations. On behalf of Agency Agency for Art & Economics students at HKU University of the Arts Utrecht. 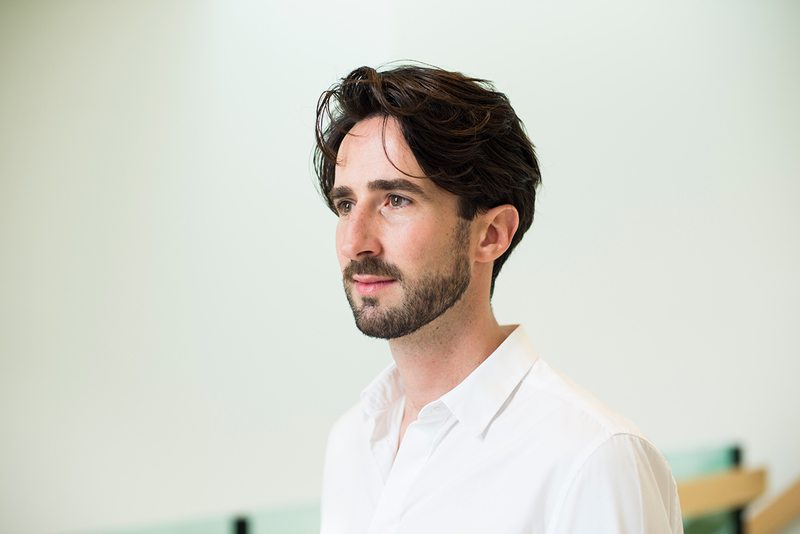 AURA — consulting artist-designer Nick Verstand and social innovation initiative Garage2020 on their approved application with project AURA for the Elisabeth van Thüringen Award 2018, an award that stimulates art projects in health care. SMK — concept development for Stedelijk Museum Kampen. With Peter Koppen / LAgroup. Tips & Tricks — presentation and conversation on project development and fundraising for Sandberg@Mediapark, masterclass for digital artists and media makers. For Sandberg Institute and the Netherlands Institute for Sound and Vision. CAWA — member of the independent advisory committee for artist spaces in Amsterdam, providing the Mayor of Amsterdam solicited and unsolicited advice on ateliers and creative workspaces. From 2013 to 2018. MAFAD — vision development for MAFAD Maastricht Academy of Fine Arts and Design, part of Zuyd University of Applied Sciences. Reality Check VI — personal positioning, portfolio development and internship program for DesignLAB students at Gerrit Rietveld Academie. With Victoria Meniakina and Maarten Kanters / Agency Agency. Amerpodia — positioning strategy for Amerpodia and its four venues Felix Meritis, Rode Hoed, De Nieuwe Liefde and Compagnietheater. Inside KABK — strategic advice and action plan for improving internal communication at KABK Royal Academy of Art The Hague. Reality Check V — professional development program for Interior Architecture and Furniture Design students at KABK Royal Academy of Art The Hague. With Frame Publishers, Giulio Margheri / OMA, Victoria Meniakina and Maarten Kanters / Agency Agency. AEF live — 'live advising' Udo Kock, vice mayor of Amsterdam, on strategies for fair city development, tourism and city branding. With Hilde Blank / BVR & AM Concepts and Arjen Gielen / NHG Dutch Homeownership Guarantee Fund. Organized by AEF Andersson Elffers Felix. Codes for Airbnb — proposal to the City of Amsterdam to introduce a system of unique digital codes for renting out spaces on Airbnb and similar platforms. For Amsterdam in Progress, design by Edwin van Gelder / Mainstudio. DePlaatsmaker — strategy development for DePlaatsmaker, a cultural real estate development organization from Utrecht. CAxNL — research and advice on business opportunities for Canadian organizations in the Dutch creative industries. With Erik Grootscholte / LAgroup for the Embassy of Canada. Neighborhood Investment Fund — a plea to invest revenues from inner city tourism in neighborhoods outside the center of Amsterdam. Broadcast on NPO Radio 1. Kazerne — expert review of the business plan and cultural program of Kazerne, a multi-purpose venue in Eindhoven dedicated to design. With Erik Grootscholte / LAgroup for the Province of Noord-Brabant and its cultural investment fund Brabant C.
Kromhouthal — concepts for an inclusive redevelopment of the monumental Kromhouthal in Amsterdam-Noord. With Tess Broekmans / Urhahn Urban Design for Eigen Haard. nickverstand.com — creative direction for the website of artist-designer Nick Verstand. With Maarten Kanters / Agency Agency and Arif Kornweitz. SJPK — business development advice for Studio Jan Pieter Kaptein. Bringing Down Walls — opinion article on how contemporary art institutes in Amsterdam could become more engaged with the city and each other. Published in Simulacrum, magazine for art and culture. Anima Shenzhen — approved funding application at Creative Industries Fund NL for Anima, an audiovisual installation by Nick Verstand at Design Society in Shenzhen. Current Obsession — development strategy for contemporary jewellery platform Current Obsession. With Victoria Meniakina / Agency Agency. Placemakers — development strategy for Placemakers, practice for urban activation. Reality Check IV — personal positioning, portfolio development and internship program for DesignLAB students at Gerrit Rietveld Academie. With Maarten Kanters / Agency Agency. Square — branding concept for a workspace and community for creative makers. With Agency Agency for ROC van Amsterdam. JVDW — strategy, business development and approved funding applications for the studio, visual identity and website of designer Jólan van der Wiel. With Agency Agency. Practice, Practice, Practice — presentation and discussion on professional development in design. Organized by Creative Industries Fund NL at the Dutch Design Week 2016. Cultural Development — coaching program for the professional development of cultural initiatives 24classics, San Serriffe, Unfair and We Are Public. For the AFK Amsterdam Fund for the Arts. Reality Check III — professional development program for Interior Architecture and Furniture Design students at KABK Royal Academy of Art The Hague. With Frame Publishers, Raphael Coutin, Giulio Margheri / OMA and Maarten Kanters / Agency Agency. Forces for Architecture — strategic direction for a temporary research studio and website on how forces of nature can serve the built environment. For Jólan van der Wiel and Benthem Crouwel Architects. Games for Cities — strategy and design direction for a year-long program and digital platform on game-based urban development. With Joost de Nooy / The Visual Theatre for Ekim Tan / Play the City. Barbara Langendijk — development strategy for fashion designer Barbara Langendijk. With Victoria Meniakina / Agency Agency. Meganom — strategic direction for the website of Meganom, a Moscow-based practice for architecture, urban design and research. With Victoria Meniakina / Agency Agency. Amsterdam Food Project — strategy for a regional supply-and-demand food project in the Amsterdam metropolitan area. For Rabobank Amsterdam. Reality Check II — personal positioning, portfolio development and internship program for DesignLAB students at Gerrit Rietveld Academie. With Maarten Kanters / Agency Agency. Hardhoofd — strategy and design direction for a platform for emerging Dutch writers and its digital platform. With Bas Koopmans / Baster and Tom Walter / Little Fragments for Hard//hoofd. The Frame — business development for a new car. With Barend Koolhaas. #+21.00-23.00 — budget advice for Saskia Noor van Imhoff's publication and exhibitions at de Appel arts centre and Stedelijk Museum Amsterdam. Future Acts — strategy, business development and branding workshop for Future Planet Studies students at the University of Amsterdam. Spring House — concept and business development for a members' club and coworking space in Amsterdam. For Vandejong Creative Agency. Reality Check I — personal positioning, portfolio development and internship program for DesignLAB students at Gerrit Rietveld Academie. With Maarten Kanters / Agency Agency. Agency for Apprenticeships — research for an interdisciplinary apprenticeship program for designers worldwide. Supported by the Creative Industries Fund NL. New Now — strategic direction for a festival for Europe's emerging artists. With Agency Agency for ELIA, European League for the Institutes of the Arts. Intervening Rokin — two-week research studio on Amsterdam's consumer-driven city center. With Theo Deutinger, Nathan de Groot, Giulio Margheri and Maarten Kanters for Summer School Thinking City. Anticipating the Future — co-editor of a magazine on the future of tourism to Amsterdam. For Stephen Hodes, design by Edwin van Gelder / Mainstudio. Against Predictability — opinion article on the development of Amsterdam in times of rising visitor numbers. Published in Amsterdam, Anticipating the Future. In the City — booklet on urban economics in times of globalization and digitization. For Rabobank Amsterdam with Maarten Kanters. Blockbuster Fund — communication strategy for Blockbusterfonds and copy direction for its website. With Stephen Hodes / LAgroup. Planning Music — coaching sessions on developing project plans for Music in Education students at the Amsterdam Conservatory. Becoming a Liaison — discussion with Arts and Economics students on connecting business and creativity. At HKU University of the Arts Utrecht. Telychka School — concept development for a new school for urbanism in Kiev. For Zotov&Co Architects. The Home Does Not Exist — development of exhibition on evolving domesticity at Biennale Interieur Kortrijk. With Space Caviar and Folder. Things to Come — curatorial concept proposal for the Oslo Architecture Triennale 2016. With Studio Lukas Feireiss. Russia Now — lecture on contemporary developments in Russia. At SPUI25 University of Amsterdam. Thinking City — communication advice and film production for Amsterdam's interdisciplinary summer school on urbanism. Navy Yard — two-week research studio on the future of Amsterdam's former navy yard during Summer School Thinking City. With Radna Rumping, Juha van ‘t Zelfde and Nathan de Groot. Closing the Gap — communication strategy and poster campaign for the Faculty for Technology, Innovation and Society of The Hague University of Applied Sciences. With Maarten Kanters. Interdisciplinary Urban Design — speaker and guest critic at Skopje Creative Hub Festival. With Giulio Margheri. Guki — architectural proposal for Guggenheim Helsinki. With TD Architects and Giulio Margheri. Strelka Unsettled — development strategy for the Strelka Institute for Media, Architecture and Design in Moscow. Winning proposal for the Relocating Strelka competition. With Squadra Komanda. MKAD City — research and development strategy for MKAD, the 109 km Moscow ring road. With Giulio Margheri at the Strelka Urban Routines Car Studio. Living in Permanent Modernity — interview with MIT's Alexander D’Hooghe. Published at Strelka Future Urbanism. Vandejong.com — concept development and business texts for the Vandejong website. Foam Magazine — business development for an international photography magazine. East Wing — brand and digital development for a contemporary art gallery from Doha, Qatar. Amsterdam &Co — concept development for a members' platform for Rabobank Amsterdam. Panorama Eye — concept development and fundraising for EYE Film Institute's permanent exhibition. Pit — brand and digital development for a cultural community of youngsters in Amsterdam. Eenmaal — concept and brand development for the world's first restaurant for solitary dining. Givers — concept development for charity donation platform. What do you want with your theatre? — opinion article on a €55 million theatre development project in ‘s-Hertogenbosch. Less Bubble More World — future strategy for Design Academy Eindhoven. Digital Amsterdam — digital strategy focusing on informing international visitors to Amsterdam. For the Amsterdam Economic Board. Cultural Center Arnhem — concept development for an all-in-one museum, music hall and cinema in Arnhem. Royal Library — communication strategy for KB, National Library of the Netherlands in The Hague. Museum De Stad — concept development for a museum-on-the-city in new town Almere. Beyond the Black Box and the White Cube — editor for book on architectural innovation at cultural institutions. With Johan Idema. Roel van Herpt is an independent strategy advisor in the arts, architecture, design, urbanism and education. He is also strategy director and founder of Agency Agency, practice for strategy and design. Roel consults art institutes, design studios, digital and city projects on their strategy, branding and business development. Next to that, he leads Reality Check, a professional development program at the DesignLAB department of Gerrit Rietveld Academie and at the Interior Architecture and Furniture Design department of KABK Royal Academy of the Art. Roel is also a member of the Creative Industries Fund NL advisory committee on digital culture and a cultural innovation advisor for the AFK Amsterdam Fund for the Arts. Roel worked before at the Strelka Institute for Media, Architecture and Design in Moscow and at Vandejong Creative Agency and consultancy LAgroup in Amsterdam. He studied business, strategic management, philosophy and design management at universities in the Netherlands and in Rome. Roel holds an MSc in Strategic Management and an MA in Creative Development.